When it comes to America’s Great Outdoors, there is no place more wildlife-filled than the miles upon miles of Alaska. Its coastal waterways, rugged forests and mountains, and icy tundra are home to a number of animals rare to find in the continental U.S. 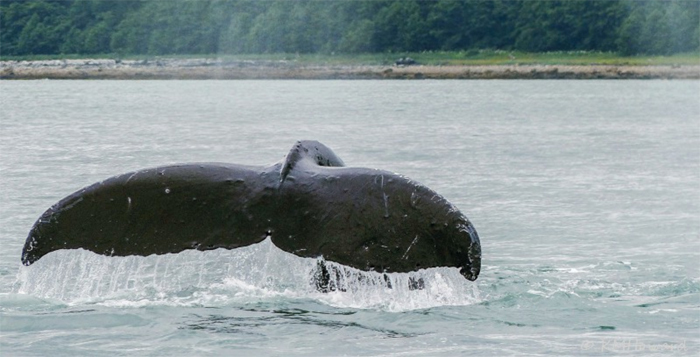 When planning a trip to Alaska, be sure to get up close to the wildlife with these tours. Our country’s iconic bald eagle had once been on the decline, but in Alaska, there are nearly 40,000 of these majestic birds calling the state home. 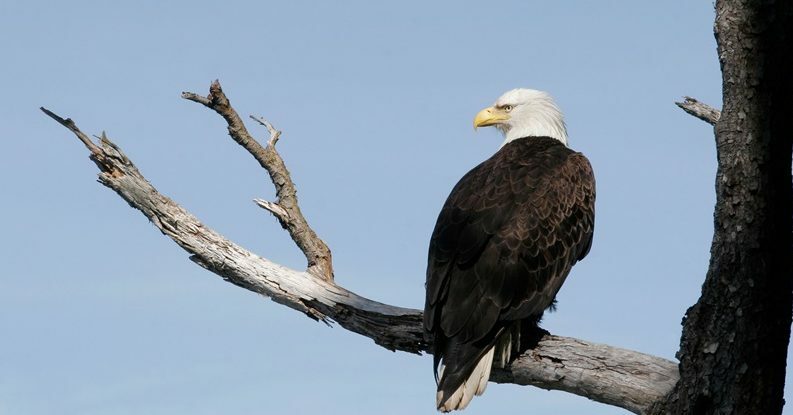 Lovers of fish, they can be spotted near Alaska’s lakes and rivers, which makes it easy for adventure seekers enjoying kayaking, canoeing, and rafting trips to spot an eagle. 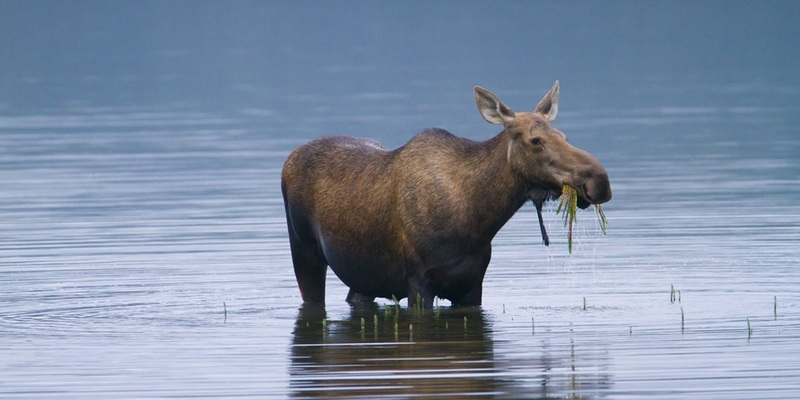 Visit Homer Spit in Kachemak Bay, Kenali River’s Viewing Platform, or Palmer Hays Flats State Game Refuge to spot not only eagles, but possibly moose and bears. Alaska is estimated to have nearly 100,000 black and brown bears – the largest population of bears in the United States. However, bears aren’t going to be found at the cruise ports; you have to head inland to the Alaskan wilderness and rivers to discover bears. It’s easy to spot bears in the summer, when salmon fill the streams, so this is the best time to visit if spying one is top on your list. 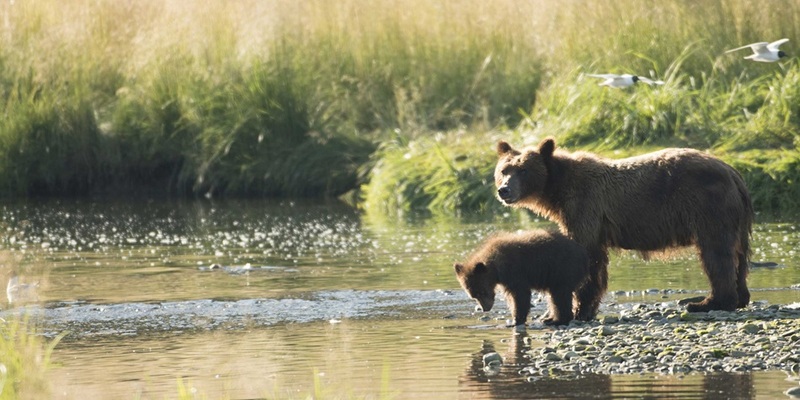 Try Pack Creek Bear Tours from May through September, with 4- to 7-hour tours and a floatplane ride, or, for added outdoor adventure, try a multi-day tour with camping at Alaska Bear Camp Overnight Adventures from June through August. 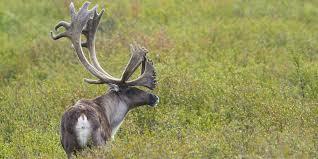 In Alaska’s tundra, you can spot caribou (which look like reindeer) roaming the Arctic National Wildlife Refuge. Caribou, as well as Dall sheep, have been spotted on Denali National Park’s Savage River Loop Trail and along the banks of Chapman Lake, so you can also create a custom caribou tour and strike out on your own. Alaska’s main means of transportation before the invention of automobiles and airplanes was using huskies to pull sleds piled high with gear and people. In March, the annual Iditarod Sled Dog Race celebrates the far-gone travel with a 1,150-mile race. You don’t have to travel that far to try dog sledding, though. 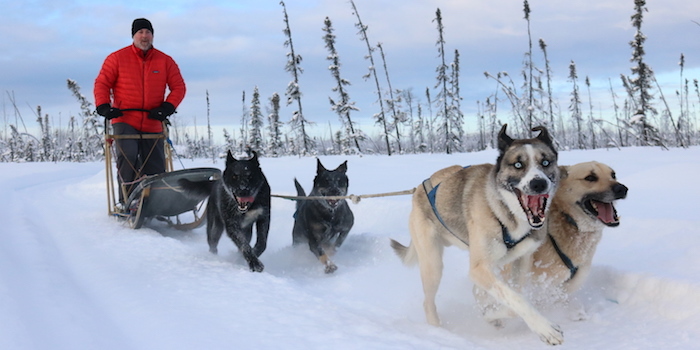 Try Seavey’s IdidaRide Sled Dog Tours in Seward for 1.5- to 6-hour options, offered May through September, or stop by Jeff King Husky Homestead Tour in Denali to meet Iditarod champion and his dogs. Towering moose are easy to spot in Alaska, as they are just about as popular as deer. Driving around the interior of Alaska, you may spot moose on the side of the road. You can also view them at the Alaska Wildlife Conservation Center, Kincaid Park, and Moose Pass, just outside Seward. 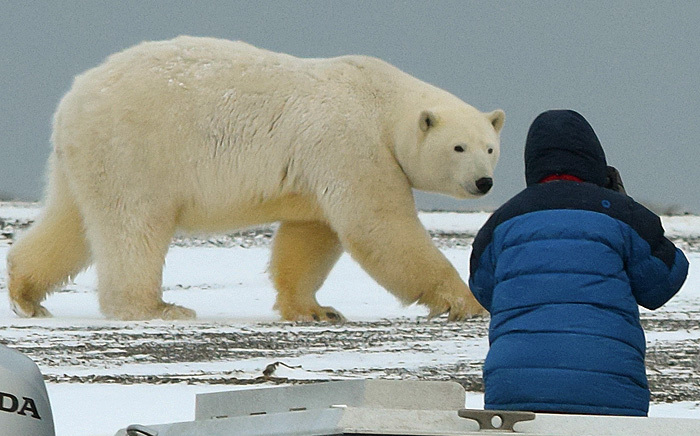 Speaking of bears, Alaska is also home to polar bears, although these massive creatures live in the arctic and away from places most tour groups visit. The Northern Alaska Tour Company can get you to the arctic to see the bears yourself on a full-day trip offered to only 114 people during the entire season. A minimum of four guests must be available to depart on the tours between August 16 and September 25. When you think of Alaska’s coast, you often think of whales, as this is where they spend their summers. Joining a day cruise through Alaska’s fjords and inlets will give you an opportunity to see whales, as well as seals and puffins. You can enjoy a 2.5- to 5-hour cruise around Prince William Sound on Phillips Cruises & Tours Glacier Cruise, May to October, or a Whale Watching Adventure in the Inside Passage from Juneau from May through September for just over 6 hours.